Zone by the Park is a new hotel in town. Zone is a series of boutique hotels by the Park group of hotels. I had been to Zone Coimbatore facility in Jan this year. They are expanding in other cities- Jaipur branch is already operational, Chennai Zone is also almost ready and one in Mahabalipuram is also expected next year. Sometime early November weeks ago, I accidentally spotted a tweet by Zone’s twitter handle about a contest and impulsively replied to it. 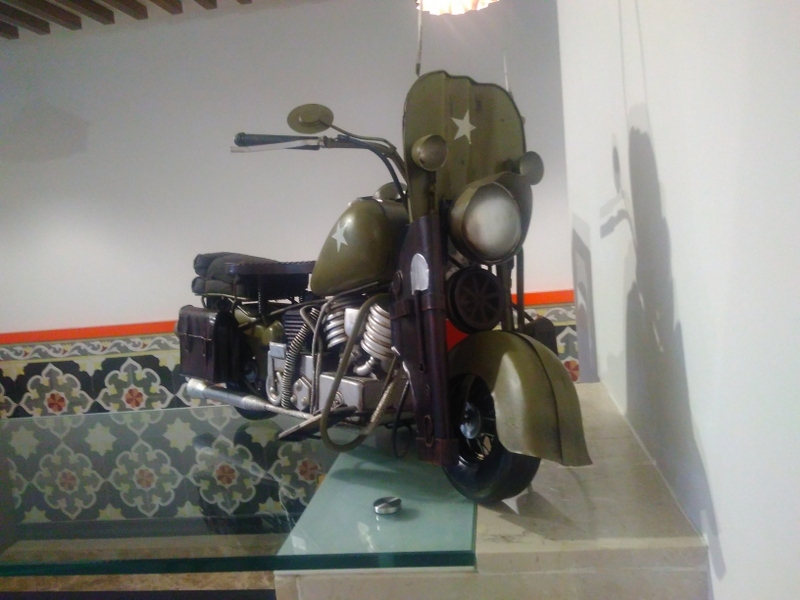 It had something to do about 'one reason you want to visit Zone' or something like that for which I had replied that I want to go there because of their decorated auto in the reception (which was key attraction to everyone in Zone Coimbatore) Then I forgot about it. 2 weeks later they told me that I won dinner for two in that twitter contest. About 9 days of coordination on twitter later, I got the formal invite and last Friday went to Zone for dinner. Zone Chennai is located on the ORR (Outer Ring Road? Not many recognize that term in Chennai). 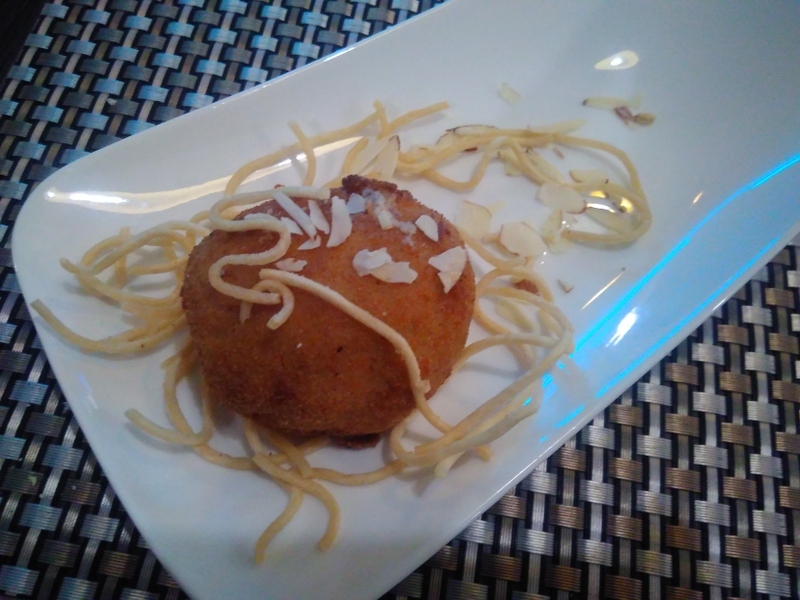 It is located next to Kamakshi hospital on the road that connects OMR to Pallavaram. I went to the hotel on the designated date and time, showed my invite to staff and I was escorted to Bazaar. 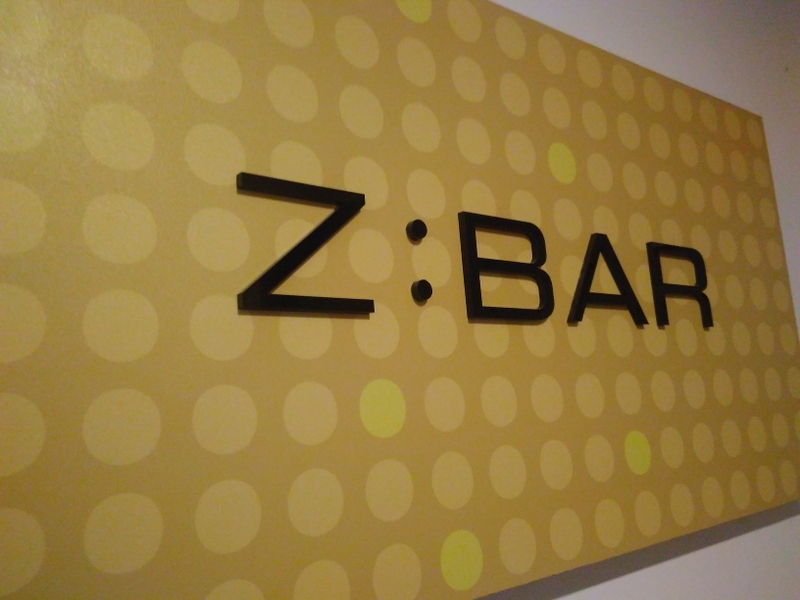 Bazaar is Zone’s idea of giving an extreme local flavor and touch to your dining experience. 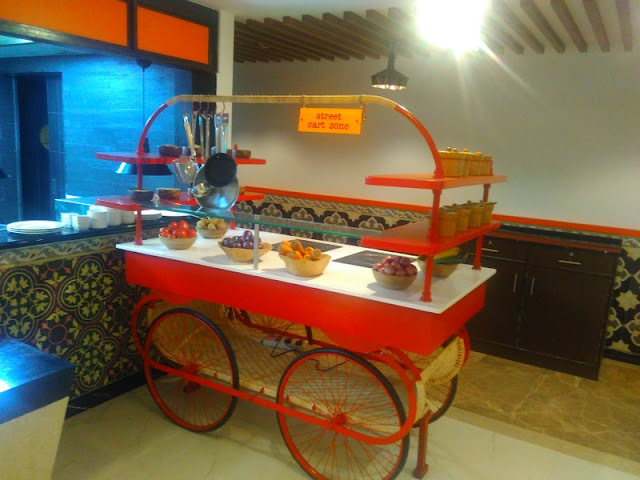 Lots of local popular items are displayed on the showcase, a kart with prestige induction cookers mocks street side food karts by offering live food, Menu is also carefully customized to have right mix of local and national/international items. We were the only guests in the entire restaurant and that felt a little odd, with 4-5 staff including the Manager of the restaurant standing by for our command. 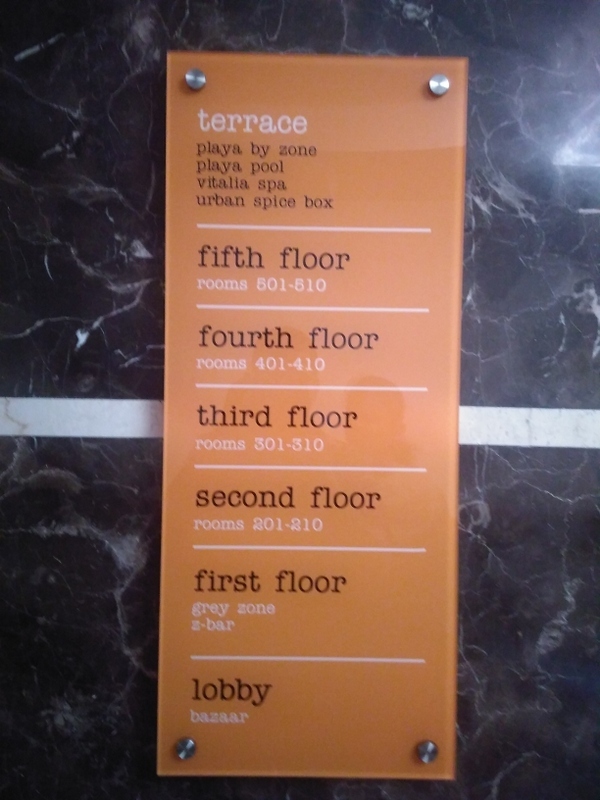 Zone ORR Chennai hotel is not fully operational yet- rooms and other restaurants are being readied and in another month or two Zone Chennai will be in business full swing. That and because of recent rains, guests at the Bazaar were less. Buffet was not available (without enough guests it doesn’t make sense to keep buffet) so we were asked to order Ala Carte. Menu had lots of local items and a few pages for international items. We began with soups, ordered Paniayaram (small baked balls made from Dosa batter), Veg Biryani and a set of Roti and sabji. Staff were very polite. I am not a foodie- as long as something tastes decent and fills my stomach I am happy. Duty manager asked for my feedback couple of times, but unfortunately I couldn't give any tips or feedback. If it was a car or hotel room or a book I can do a better job of giving some feedback. In terms of food, I am yet to evolve. Chef was always ready to customize items or make anything else we may wish to have. Being only guests in the big restaurant, it felt a bit like being a king with several staff around standing by for my next command (order in this case). Had a quick look at the menu- most of the items are in the range of Rs 200 to Rs 400 (some 20% tax extra). One good thing I noted was that Roti and Sabji is offered as a package also. 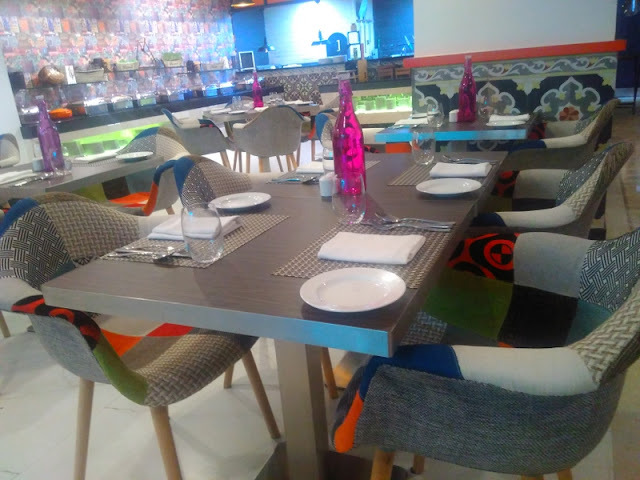 Zone has lots of local items, as well as North Indian and continental options. So you are not likely to run out of options here. We we full within few items and we finished off with a cold coffee and desert- Zone special ice cream wrapped under a crunchy outer layer. Tasted brilliant. 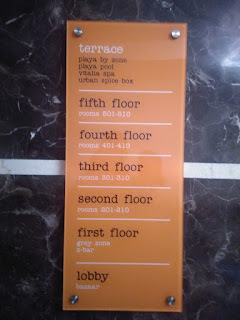 After dinner we had a quick walkthrough around the yet to be fully operational hotel. 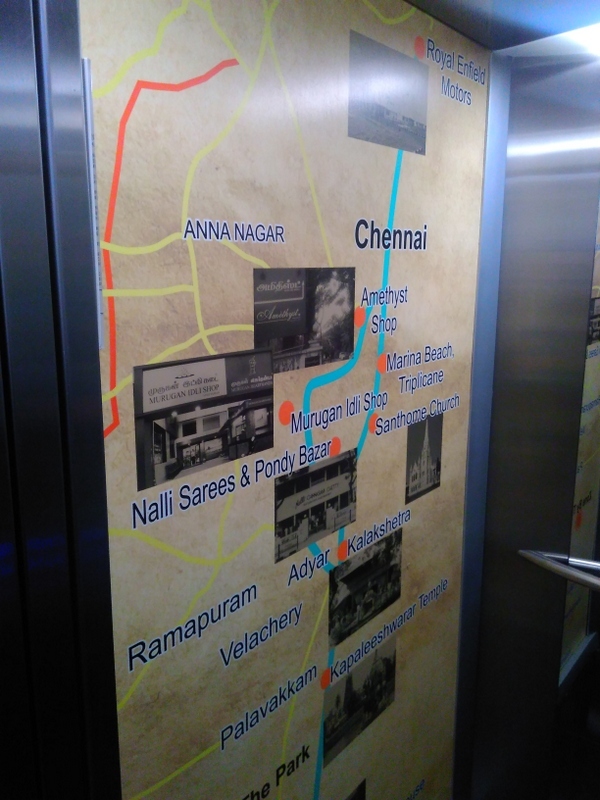 Going by their theme, they had key attractions of Chennai pasted on elevator wall, to make it easy for the guests. On the terrace there is a swimming pool with a mini bar, just a level below there is another restaurant with about 15-20 odd seats. First floor has another restaurant and Z: bar for drinkers. Unfortunately I didn't take notes during the walk-through and forgot some finer details about these restaurants.The business centre was located inside Bazaar itself- guests can check their mails, drink coffee and read books there. Because it was dinner and it was dark, couldn't take proper outdoor pictures. Also hadn't taken my main camera- all above pics are from mobile only. I wanted to take a pic of the decorated auto near the entrance but there wasn't enough light and because it was wired (for lighting) it couldn't be moved to an area that had light, so for now using a pic of Coimbatore auto. But hopefully, will visit them again once they are operational fully. Nice honest review. ORR in chennai? Hearing for the first time. The decor is quite interesting! Good review!